It’s time to fight for the OASIS! Producer Brian Lowe of Vive Studios took us through the process of bringing the world of Ready Player One to virtual life. Hello there Brian! Tell me about the early days of the Ready Player One project. After HTC partnered with Warner Bros. on Ready Player One, we started talking to potential developers. With such a big project, we knew Ready Player One was more than one developer could handle, so we assembled a ‘dream team’ of devs to help us, each of them assigned to their own part of the experience. We recruited Directive, Morph3D, Steel Wool, Drifter and our own 2 Bears to bring the virtual world of Ready Player One to life. After we figured out the basic structure of the OASIS experience, everyone started working on their parts. Speaking of the parts – tell us about what makes up the entire Ready Player One experience. Everything is connected in Ready Player One through the OASIS, so it made sense for us to start there. We worked to recreate the OASIS as closely as we could, based on materials supplied to us from the movie’s production team. Our developers also got to see early footage of the movie, so they could try to make it as accurate as possible. We’ve got other parts of Ready Player One ready too. 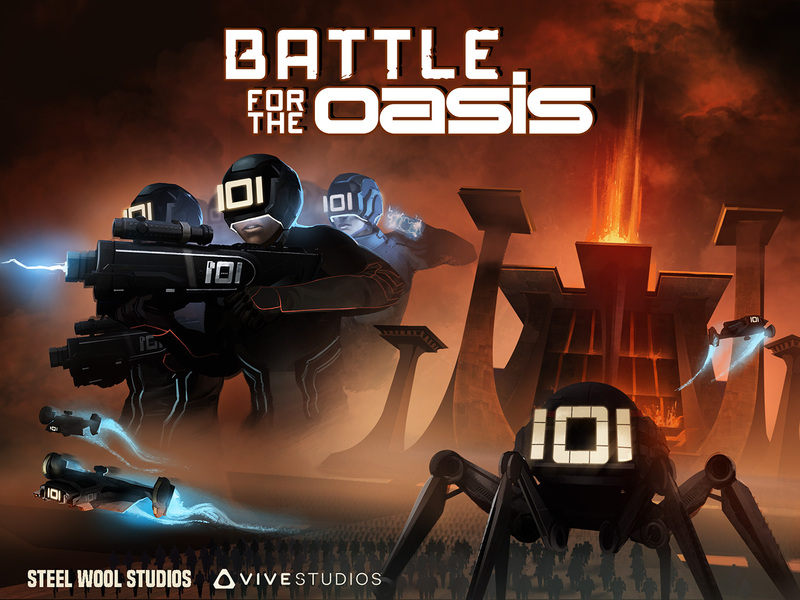 Battle for the OASIS is Steel Wool’s contribution, where you’ll get your hands on some weaponry only possible in the OASIS and take the fight directly to IOI on Planet Doom. 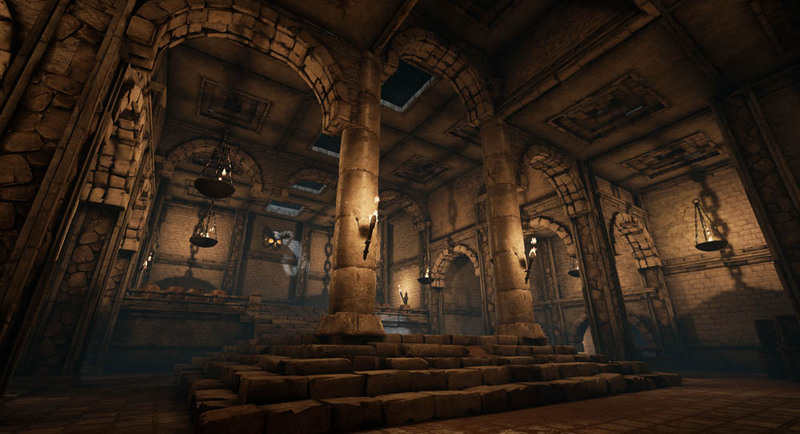 It’s a fast-paced shooter that really feels like you’re battling inside the OASIS. Smash and Fracture (coming soon to the OASIS) are 2 Bears’ acclaimed retro-style arcade games, which will challenge your reflexes and hand-eye coordination. If you want to feel like you’re inside a retro arcade game, this is what you want to try. 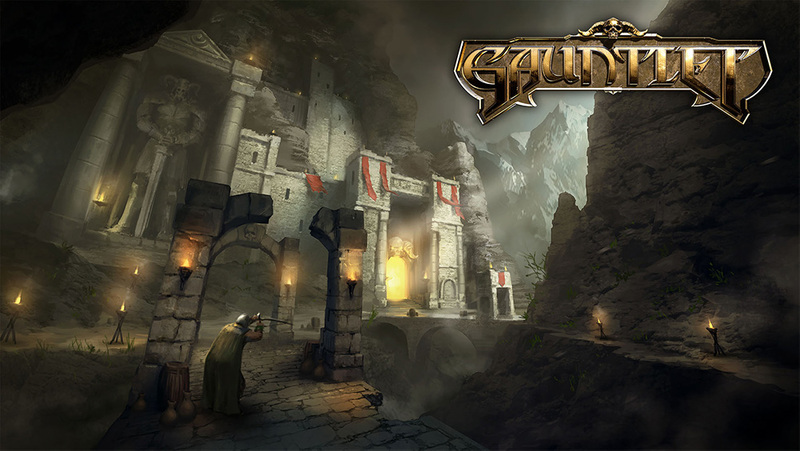 If you want to feel like you’re inside a modern update of a retro arcade game, you’ve got to try Gauntlet, by Directive. This is a modern take on the arcade classic I spent way too many quarters on, but this time instead of a top-down view with simple sprites, you’re right inside the action using a bow-and-arrow to mow down the virtual undead. 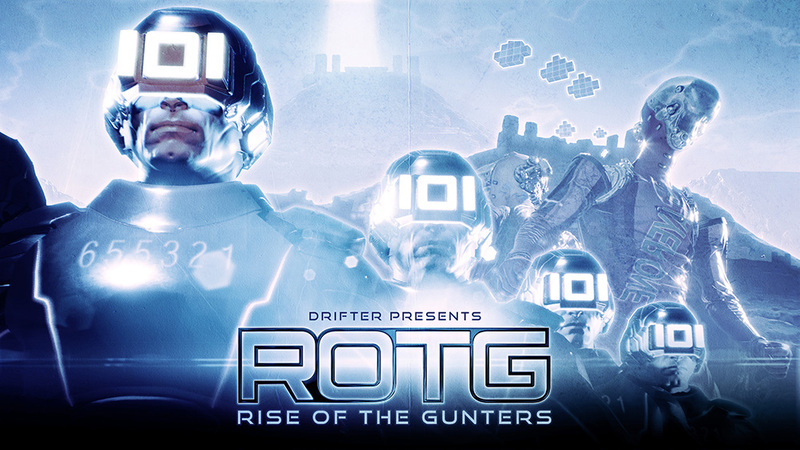 Drifter are responsible for Rise of the Gunters, which allows you to team up with two friends to take on Sixers on the first planet you’ll see in the movie. This is heavily inspired by arcade games like Smash TV and Defender, where you’ll be fighting against enemies from all sides! Were you a fan of Ready Player One before starting this project? Absolutely! Ready Player One is practically required reading around here. I grew up in the 1980s and loved picking up on all the references and Easter Eggs – while reading about a hunt for an Easter Egg, obviously! It’s a book that was clearly written with an awareness of VR and I’m glad we got to create a real-life version of somewhere people have only read about (and soon, have seen). Did you manage to get any of those references and Easter Eggs into the Ready Player One VR experience? Well if we told you where all the surprises are, they wouldn’t be surprises, would they? Suffice to say there will be things in there that fans of Ready Player One and the period it talks about will recognize. Finally: if you were zapped into an arcade machine from the 1980s, which one would you choose and why? Ooh, tough question. Defender could be interesting, if I got to fly the spaceship instead of be one of the humans getting kidnapped. The fruit in Pac-Man’s maze always looked tempting, but you’ve got to deal with those ghosts… I think it might have to be Gauntlet. Sure you have to kill thousands of monsters to avoid dying, but you know you’ll get food at regular intervals and there’s away something to keep you busy!! Thanks for talking to us, Brian! Click here to read our Q&A with the developers behind Rise of the Gunters and Battle for the OASIS. Ready Player One: OASIS Beta is available on Viveport.